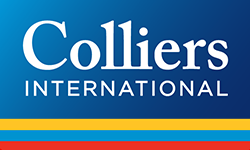 Colliers International is a top tier global real estate services and investment management company operating in 69 countries with a workforce of more than 12,000 professionals. Colliers is the fastest-growing publicly listed global real estate services and investment management company, with 2017 corporate revenues of $2.3 billion ($2.7 billion including affiliates). With an enterprising culture and significant employee ownership and control, Colliers professionals provide a full range of services to real estate occupiers, owners and investors worldwide, and through its investment management services platform, has more than $20 billion of assets under management from the world’s most respected institutional real estate investors. The Romanian office was established in 1996 to provide consultancy to multinational companies and foreign developers with investment intentions on the Bucharest market. In over 20 years of activity, Colliers International has grown together with the country, trying to lay the foundations for an educated market. We offer a comprehensive package of services to corporate clients in Romania - from brokerage and investment to valuation, consulting and property management.